Norway has long been at the top of our travel list. Countless are the times when we have declared “This will be the summer we finally do Norway!” I’ve always been drawn to Norway by the dramatic landscape consisting of razor sharp mountain peaks, and immense fjords. 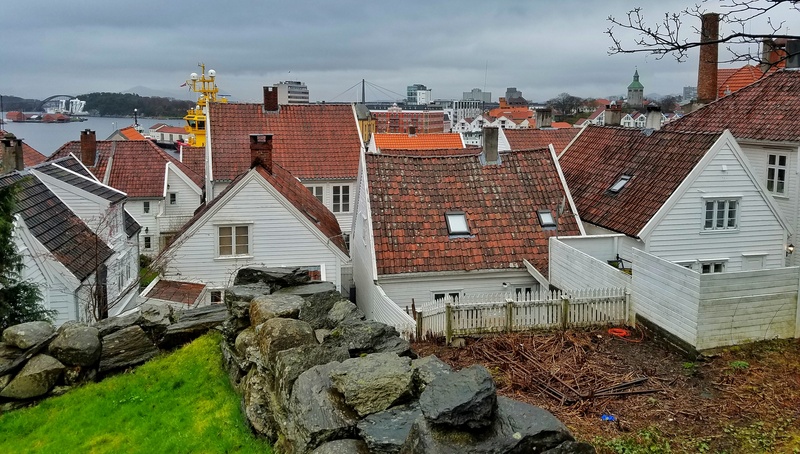 Each time, however, some other destination always barely edged out this Nordic country when it came to deciding where to travel over the summer break. Having recently moved to Sweden, we suddenly found ourselves within easy reach of this long desired travel destination. With round trip flights within Europe being dirt cheap, and a long Easter break from work at our disposal, the time seemed right to finally step foot on Norwegian soil and really get a taste of the fjord life. We didn’t particularly have a lot of expectations for Stavanger prior to arrival. It was just a jumping off point for us – with such a short visit, we had only planned a couple of hikes, but the main goal was to do the famed Preikestolen trek, also known as Pulpit Rock – the rectangular granite shelf that dangles precipitously 650 meters over Lysefjord. We booked an AirBnB apartment in town, and didn’t really plan on spending much time there. Just a place to sleep in between epic fjord hikes. However once we arrived to town, we were immediately charmed by this old, clean, well preserved port town on the Norwegian coast. 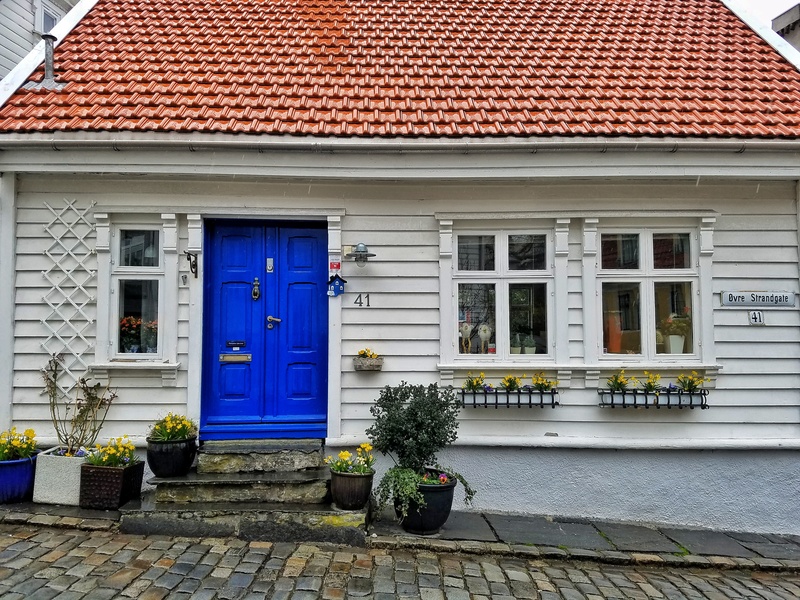 One of the most charming parts of Stavanger is the city’s old town, known as Gamle Stavanger. 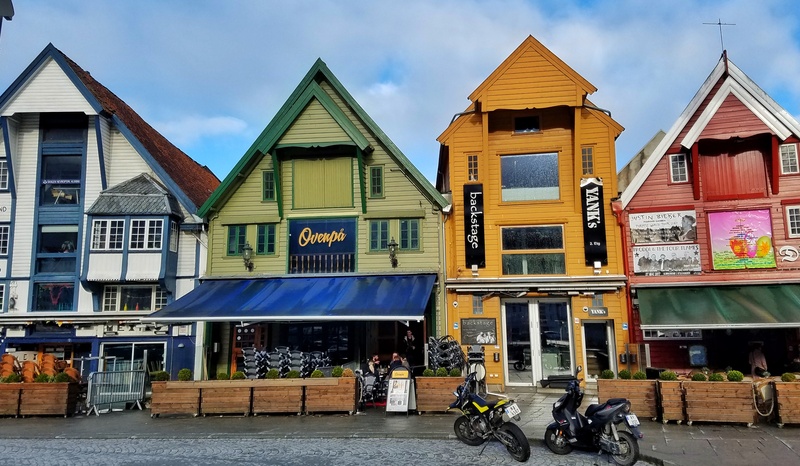 Here you will find charming, white wooden houses, tightly packed along the waterfront, with narrow cobblestone streets, available to foot traffic only. The weather was not the best – plenty of hard, cold wind, with rain occasionally mixing with snow and ice pellets – but it did give the area a quiet charm, with not too many people venturing out to explore this area alongside us. Most of the structures here seemed to be actual residences, with little shops peppered in here and there, but being here in the off season, most things were shuttered. Because of the charm and views, it didn’t really matter – we just enjoyed strolling the streets and taking in the unique architecture and quiet solitude. 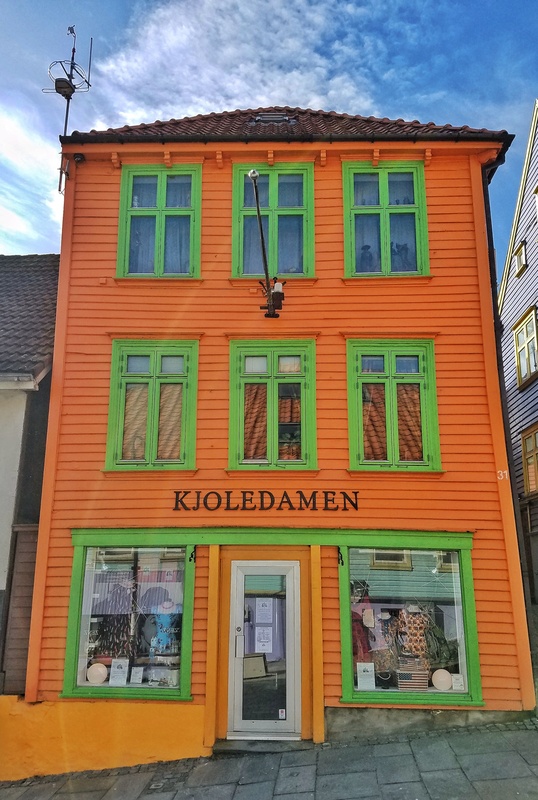 Hidden amongst the white wooden architecture of Stavanger is an explosion of color known as Øvre Holmegate. 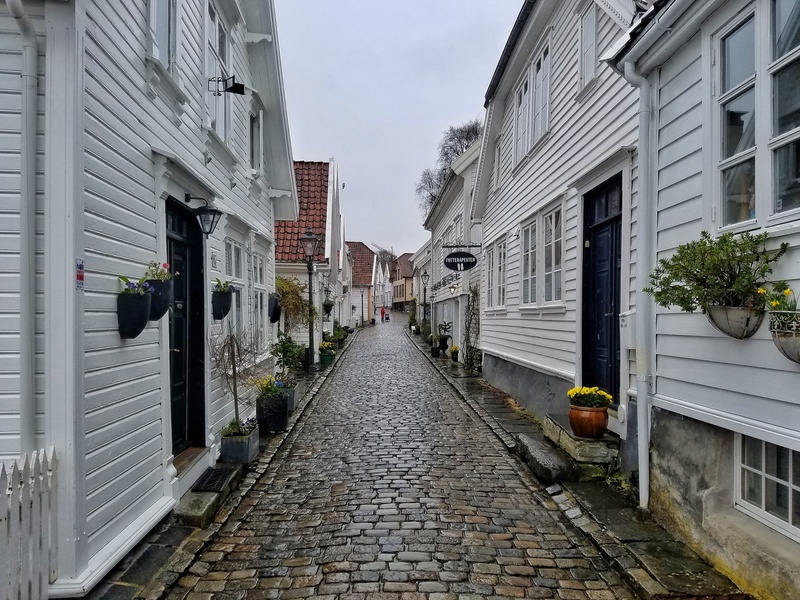 This small street in the midst of the main shopping and restaurant district of Stavanger stands in stark contrast to the rest of the city. Walking this strip of bars and shops, you can almost imagine you’re in the hippie district of Christiania in Copenhagen. Here we visited a few cozy bars where we had some beers and played card games to escape the cold rain for a couple of hours. We found the prices in this part of town to be far more reasonable than the expensive food and drinks found in the rest of the area. 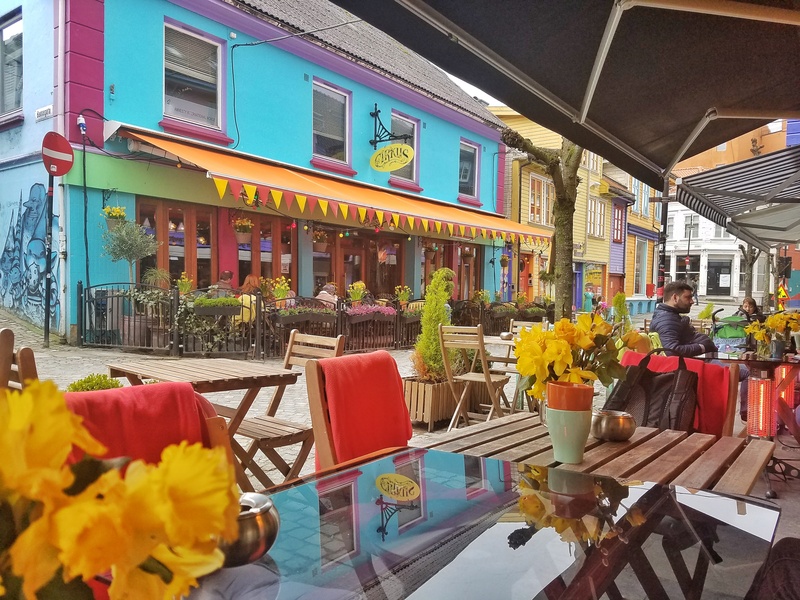 Despite the cold weather, it was pleasant to sit outside at the various cafes and bars, which provided blankets at each chair, and table-side heaters to give you a respite from the frigid winds and enjoy a drink or two. 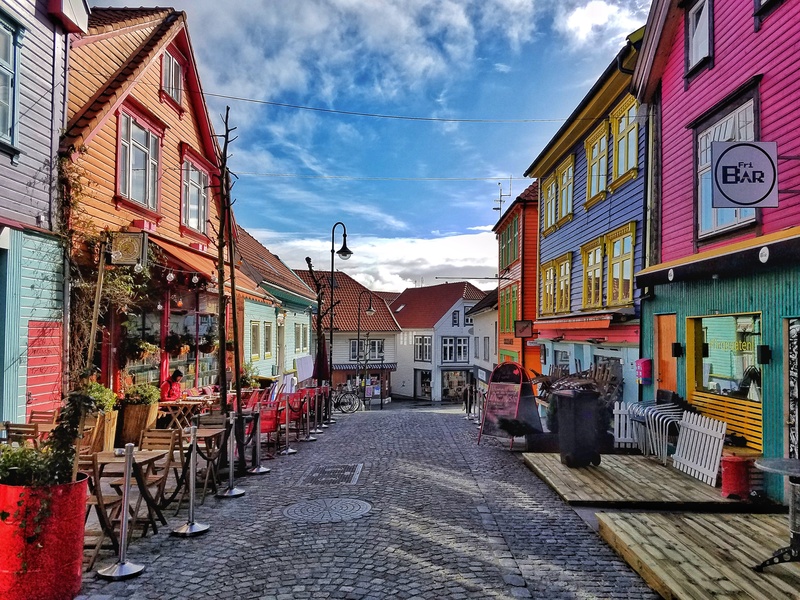 Just a block away from this area, next to the Petroleum Museum (Stavanger is a major oil town), is a colorful play space called Geoparken. Here you will find old oil equipment that has been painted in flamboyant hues and converted into a space where people can come and play volleyball, and skateboard, and is also the site of musical performances from time to time. Though primarily geared toward the younger crowd, it’s a really cool place to wander around and take some photos. It’s quite a surreal looking park, and unlike anything I’ve ever seen. 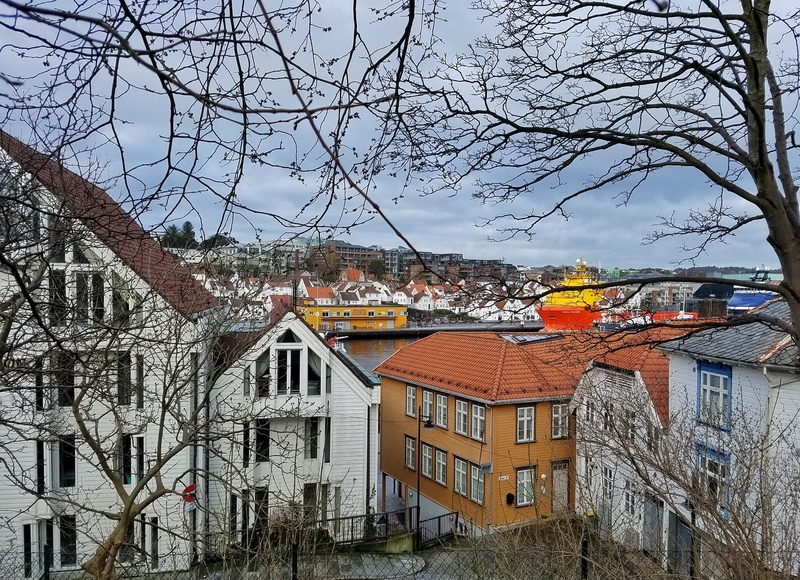 While Stavanger was a great little town to visit, it’s only worth a day or 2 of exploration, but it makes a great jumping off point for some impressive hikes and outdoor activities within an hour or so drive of the city proper. (Which I will detail in another post). Be prepared for extremely high prices – $10 USD for a beer on average, $60 USD for a basic dinner for 2. For help planning a longer trip through Norway, you might find this article from Anywhere We Roam quite helpful. Hi Dee, we rented a car for the whole time we were there. It was actually not too expensive, and definitely worth it for the freedom it gives you to leave for hikes and day trips on your own schedule. We flew to Stavanger from Stockholm. As to Pulpit Rock, I saw many families and even people with dogs hike the entire trail. It was moderately strenuous, but definitely would recommend it as appropriate for a 12 year old. Just make sure you have appropriate footwear – saw a few tourists hiking in sneakers who had to turn back at the halfway point. The trail is pretty gentle for the first bit, but then the altitude gains really start to ramp up and the terrain turns much more rock and you’re scrambling over boulders for a bit. I would not consider it a complex or dangerous hike. It took us about 4 hours in total time (out and back).